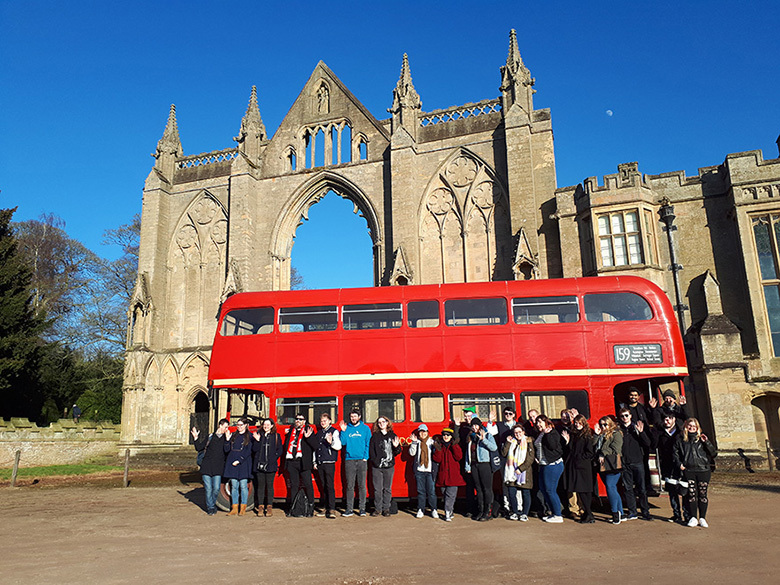 Students from BA (Hons) History and NTSU’s History Society went on a tour of Nottinghamshire’s historical locations to learn more about the local heritage of the region. 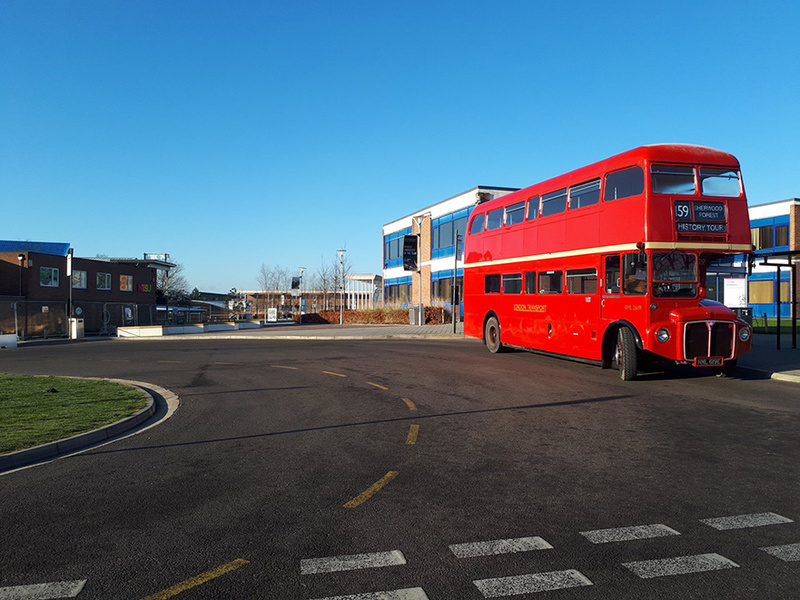 The London Routemaster bus, dubbed the ‘Robin Hood Express’, arrived at Nottingham Trent University’s Clifton Campus to gather the students for their upcoming trip in a dazzling clash of past and present. The tour covered sites such as Rufford Abbey, King John’s Palace, Newstead Abbey, and of course, Sherwood Forest. The bus also stopped off at interesting places along the way, taking advantage of the expert knowledge of the tour guides in order to make the most of the day. The tour covered Saxon battles, Viking meeting sites, Bronze Age burial mounds and much more, spanning thousands of years of local and national history. No historical tour of Nottingham would be complete without covering the legend of Robin Hood and so the students learned of the legend and its significance through time. The tour was led by archaeologist Andy Gaunt from Mercian Archaeological Services, a community interest company who undertake projects and research in the East Midlands region. Also delivering information and insights was local historian Peter Hammond, who gave the students an external tour of Newstead Abbey and shared his knowledge about the history of each site. This event posed a unique opportunity for students to engage with their local history, gaining expert understanding of famous landmarks such as the Major Oak in Sherwood Forest. The tour is available for the public to book and regularly departs from Nottingham, Newark and Southwell. Students gained much from the tour, leaving with a deeper appreciation for our historic city as well as some impressive photographs! Final year student and social secretary for NTSU’s History Society Edward Hammond led on the organisation of the tour. He told us: "All of us had a wonderfully exciting experience in being given the chance to visit and learn about sites of immense historical heritage in the Nottinghamshire countryside. Despite the cold weather, the sun took the edge off for us and allowed for some incredibly photogenic snapshots of the day. We walked a lot, learned a lot and the opportunity to ride on board a vintage London bus certainly put a smile on people's faces!"